What does a drug & alcohol counselor do? 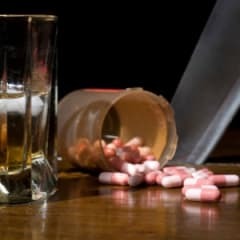 Would you make a good drug & alcohol counselor? Take our career test to find out how you match with this and over 800 other careers. 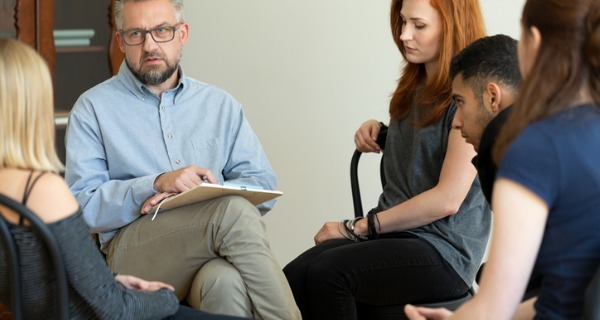 What is a Drug & Alcohol Counselor? What is the workplace of a Drug & Alcohol Counselor like? A drug & alcohol counselor is a trained professional who works with addicts to help them better understand and overcome their addictions. Drug abuse is an epidemic all over the world. Many of those who face a daily struggle with addiction eventually seek out help. It is the drug & alcohol counselor's job to provide the assistance these people need to overcome their destructive behaviour. Counselors help by offering support, rehabilitation and guidance. Using various techniques, drug & alcohol counselors seek to help an addict find the root cause of their problem. This often helps the addict to have a breakthrough, which can be a positive step on their road to recovery. Drug & alcohol counselors treat addicts either one on one, or in group settings. They educate and develop treatment plans for addicts to help them better cope with their addictive personalities. Periodically, counselors will do an assessment to determine how much progress has been made towards recovery. Typically, counselors work within a rigid program structure as determined by their employer. These programs are often implemented by facility managers and chiefs of staff. For example, the twelve step program may be used to treat alcohol addiction at a particular hospital or treatment facility where a counselor is employed. Counselors seek to find what triggers an addict's behaviour in order to help them eliminate such triggers from their life. They take detailed notes which helps to form a better understanding of each person's unique situation. They ask appropriate questions and offer advice as to which approach is best for treating a particular problem. A drug & alcohol counselor is trained to recognize attitudinal barriers which may inhibit a person's ability to successfully overcome their addiction. They then work to help addicts remove those barriers. Drug & abuse counselors also teach the addict how to best prevent a relapse. They do this by developing a strategy to help the person manage their problems in the best way possible. Helping them to understand the signs and symptoms of their addictive behaviour can often prevent an addict from experiencing a total relapse. Ultimately, the goal is to find a course of treatment which will enable a person to finally break free from a destructive pattern and get on with their life. Counselors also work to increase awareness of drug problems. This often involves writing articles for local newspapers, magazines or blogs, as well as speaking to community groups. Conducting drug education workshops and community outreach programs help to provide information to those who may be reluctant about seeking treatment. Are you suited to be a drug & alcohol counselor? Drug & alcohol counselors have distinct personalities. They tend to be social individuals, which means they’re kind, generous, cooperative, patient, caring, helpful, empathetic, tactful, and friendly. They excel at socializing, helping others, and teaching. Some of them are also artistic, meaning they’re creative, intuitive, sensitive, articulate, and expressive. Does this sound like you? Take our free career test to find out if becoming a drug & alcohol counselor is right for you. A drug & alcohol counselor works in a variety of settings. Institutionalized settings are very common. These include prisons, hospitals, halfway houses, and drug treatment centres. While private sector work is readily available, many drug & alcohol counselors work for the government through health departments and welfare agencies.